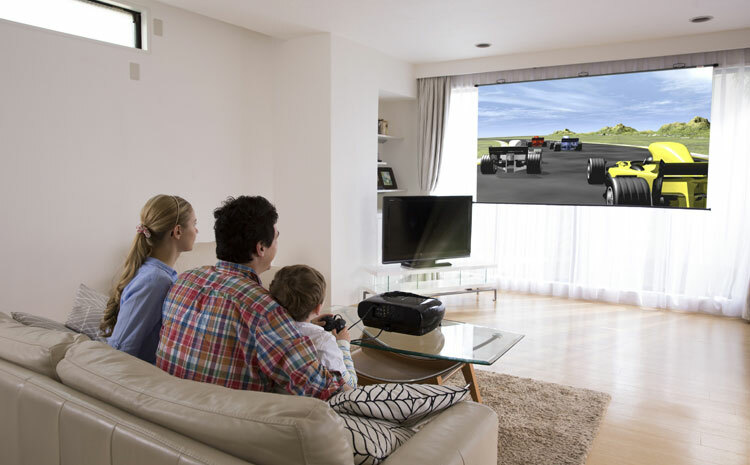 From your home to the office, a projector gives you a highly versatile display that makes the most of your content. The display size can be adjusted to suit your surroundings and media, so you can immersive yourself in high-screen HD content or share your ideas and presentations with impressive clarity. Whether you’re looking to create a cinema experience at home or need a reliable display to share your ideas in the office, we have a projector that you’ll love. Business projectors are made for getting your ideas across clearly with minimal fuss. They’re easy to connect to, reliable and simple to use, so you can concentrate on giving a great presentation.